MAHON, George Herman, a Representative from Texas; born in the village of Mahon, near Haynesville, Claiborne Parish, La., September 22, 1900; moved to Texas in 1908 with his family, who settled on a farm near Loraine, Mitchell County; attended the public schools; was graduated from the high school at Loraine, Tex., in 1918; Simmons University, Abilene, Tex., B.A., 1924, and from the law department of the University of Texas at Austin, LL.B., 1925; also attended the University of Minnesota at Minneapolis; was admitted to the bar in 1925 and commenced practice in Colorado (now Colorado City), Tex. ; elected county attorney of Mitchell County, Tex., in 1926; district attorney of the thirty-second judicial district of Texas, 1927-1933; delegate to each Democratic National Convention 1936-1964; regent of the Smithsonian Institution, 1964-1978; elected as a Democrat to the Seventy-fourth and to the twenty-one succeeding Congresses (January 3, 1935-January 3, 1979); chairman, Committee on Appropriations (Eighty-eighth through Ninety-fifth Congresses), Joint Committee on Reduction of Federal Expenditures (Ninetieth through Ninety-third Congresses); was not a candidate for reelection in 1978 to the Ninety-sixth Congress; was a resident of Colorado City, Tex., until his death on November 19, 1985, in San Angelo, Tex. ; interment in Loraine City Cemetery, Loraine, Tex. Papers: ca. 1887-1986, 624 linear feet. The collection contains the office files of George Mahon's social and political life through his subsequent retirement. Included are congressional campaign material; committee and agency files; employment and application files; scrapbooks of Mahon's political career; business correspondence; numerous photographs; miscellaneous printed material; speeches; various awards given to Mahon; biographical information; legislation files; family correspondence; and printed material concerning the dedication of the George and Helen Mahon Library in Lubbock, Texas. A finding aid is available in the repository and online. Oral History: 1980, 9 sound cassettes. An oral history interview with George Herman Mahon conducted on February 25 and 26, 1980, in Washington, D.C. Former Congressman George Herman Mahon discussed his early background and views, the Washington political scene during the period 1944 to 1980, as well as his relationship with individuals during that period. Photographs: 1945-1972, 42 copy prints. The collection consists of photographs of George Mahon and his activites as a United States Congressman (1945-1872). Included are prints of Mahon with Presidents Harry Truman 91963) and John F. Kennedy (1963). Oral History: In the H.M. Baggerly oral history interview, 1976, 3 sound cassettes. Persons represented include George Mahon. Oral History: In the Haynes Baumgardner oral history interview, 1982, 1 sound cassette. Persons represented include George Mahon. Oral History: In the Russell Bean oral history interview, 1983, 2 sound cassettes. Persons represented include George Mahon. Oral History: In the Forrest Bowers oral history interview, 1998, 4 sound cassettes. Persons represented include George Mahon. Oral History: In the John A. Buesseler oral history interview, 1997, 3 sound cassettes. Persons represented include George Mahon. Papers: In the Waggoner Carr papers, 1945-1985; 94,358 leaves. Correspondents include George Mahon. Papers: In the Citizens Advisory Commission Lubbock (Tex.) records, 1964-1977, 1937 leaves. Persons represented include George Herman Mahon. Oral History: In the Wanda Webb Evans oral history interview, 1990, 1 sound cassette. Persons represented include George Mahon. Oral History: In the Dudley Ervin Faver oral history interview, 1982, 1 audiocassette. Persons represented include George Mahon. Oral History: In the Dudley Ervin Faver oral history interview, 2006, 1 optical disc. Persons represented include George Mahon. Papers: In the Marshall Clinton Formby papers, 1883-1980; 176,388 leaves. Persons represented include George Mahon. Oral History: In the William Curry Holden, Francis M. Holden, and Tom Holden oral history interview, ca. 1982, 2 sound cassettes. Persons represented include George Mahon. Oral History: In the Fritz Jakobsmeier oral history interview, ca. 2001-2004, 8 optical discs. Persons represented include George Mahon. Papers: In the Marvin Jones papers, 1902-1976, 51.25 linear feet. Persons represented include George Mahon. Papers: In the Otto F. Jones papers, 1826-1975; 21,679 leaves. Persons represented include George Mahon. Oral History: In the Kenneth Kendricks oral history interview, 1984, 2 sound cassettes. Persons represented include George Mahon. Oral History: In the Dorothy Martin oral history interview, 1990, 3 sound cassettes. Dorothy Martin discusses her career as an executive secretary and association with Congressman George H. Mahon. Oral History: In the Frank Moore oral history interview, 1987, 1 sound cassette. Persons represented include George Mahon. Oral History: In the Clyde Morganti oral history interview, 1982, 1 sound cassette. Persons represented include George Mahon. Oral History: In the Ernest E. Morrison oral history interview, 1982, 3 sound cassettes. Persons represented include George Mahon. Papers: In the Clark Marion Mullican papers, 1909-1959; 14,343 leaves. Persons represented include George Mahon. Oral History: In the Mrs. Jeff M. Neely oral history interview, 1978, 2 sound cassettes. Persons represented include George Mahon. Oral History: In the George Nelson oral history interview, 2010, 1 sound file. Persons discussed include George Herman Mahon. Oral History: In the George Nelson oral history interview, 2010, 1 sound file. Persons represented include George Mahon. Papers: In the Plains Cotton Growers records, 1933-1973, approximately 103,534 leaves. 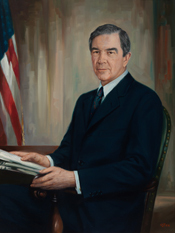 Of special interest is the collection of correspondence between Plains Cotton Growers president Don Johnson to Texas Congressman George Mahon. Oral History: In the Mary Katherine Prather oral history interview, 1981, 1 sound cassette. Persons represented include George Mahon. Oral History: In the Tom Purdom oral history interview, 1998, 4 sound cassettes. Lubbock attorney Tom Purdom recalls his career, which included time spent as an aide to Congressman George Mahon. Oral History: In the F.A. Rayner oral history interview, 1971, 1 sound cassette. In this taped interview conversation with F.A. Rayner in Lubbock in August 1971, Congressman George Herman Mahon and his assistant, Keith Mainland, review the history of appropriations for the study of water importation to West Texas. Clarification of the various studies and their purposes are made. Papers: In the Dorothy Rylander papers, 1854-1988; 12,170 leaves. Persons represented include George Herman Mahon. Oral History: In the Bob Skov oral history interview, 1984, 2 sound cassettes. Persons represented include George Mahon. Oral History: In the J.D. Smith oral history interview, 1973, 1 sound cassette. Persons represented include George Mahon. Papers: In the W. P. (William Pulver) Soash papers, 1894-1967; 9,840 leaves. Persons represented include George Mahon. Papers: In the Charles John Wagner papers, 1896-1952; 2,459 leaves. Persons represented include George Mahon. Photographs: In the West Texas Chamber of Commerce photograph collection, 1926-1974, 124 copy prints. Persons represented include George Mahon. Oral History: In the Clarence Whiteside, Jr., oral history interview, 1997, 2 sound cassettes. Persons represented include George Mahon. Oral History: In the Halbert O. Woodward oral history interview, 1988, 3 sound cassettes. Persons represented include George Mahon. Oral History: In the A. Wayne Wyatt oral history interview, 1996, 1 sound cassette. Persons represented include George Mahon. Oral History: August 16, 1972. 26 pages. Oral History: In the Richard F. Fenno Oral History Interviews, 1959, amount unknown. An interview with Representative George H. Mahon conducted by Richard Fenno on June 8, 1959. Recording: In the Presidential Recordings Digital Edition, 1965, 1 recording. President Johnson places a call to Representative George Mahon [D–Texas], urging him to lobby for the administration's $700 million supplemental aid request for military assistance to Vietnam and the Dominican Republic. Ralph Nader Congress Project. Citizens Look at Congress: George H. Mahon, Democratic Representative from Texas. Washington, D. C.: Grossman Publishers, 1972.